H2Ocean combines the mineral enriched value of sea salt and the antibacterial properties of lysozyme to develop safe, effective and natural aftercare products. H2Ocean’s aftercare products are the only sea salt and water based aftercare formulas legally available in the United States. Primal Attitude is a leading Canadian Clothing Distributor to Tattoo, Motorcycle, Alternative, Skate and Snowboard Shops. We stay on the cutting edge by providing amazing product lines, made for the industry, by the industry. We bring you items that are otherwise hard to find, as they are often limited prints and not something you're going to see in your everyday clothing stores. Based out of Huntington Beach, California, Sullen is an Art-Driven Lifestyle Apparel brand that integrates likeminded sub cultures within one platform. Co-owner Ryan Smith, a professional Tattoo Artist for over 12 years, has built relationships with the worlds' top Tattoo Artists, Graffiti Artists, and Painters - the 'Sullen Art Collective'. Artists from around the world come to Sullen Headquarters to draw and paint true collaborations. We like to call it "True Art". Sullen gives recognition to these artists on a number of different levels with artist signature apparel. 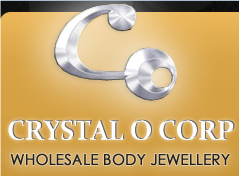 Crystal O Corp. is a Canadian based wholesale company offering one the largest and most detailed selection of wholesale body jewellery and accessories. 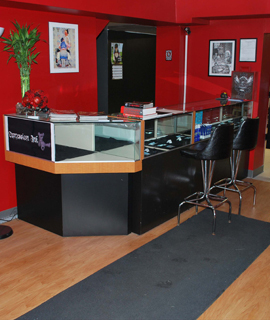 We have been proudly serving the piercing and retailing community since 2001. We offer the piercing and retailing community a safe and reliable quality of body jewellery at an affordable price, while maintaining the highest possible standards for piercing and implant grade products.